Компания ABT Sportsline обнародовала детали своей новой программы тюнинга Golf GTD. 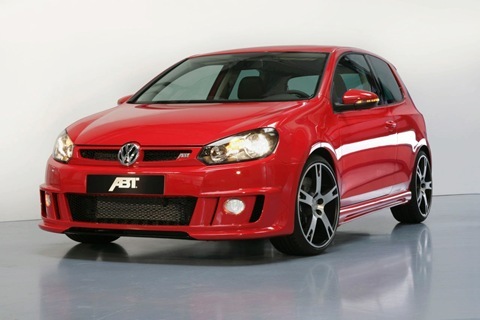 Автомобиль создается на базе нового Golf TDI с 2.0 TDI двигателем мощностью 140 л.с., однако более производительный заводской GTD выдает 170 л.с. мощности. Инженеры ABT улучшили мощность и крутящий момент – теперь они составляют 190 л.с. и 390 Нм. Разгон от нуля до 100 км/ч займет 7.1 секунду, максимальная скорость составит 230 км/ч. Не последнее место в этом играет 7-скоростная DSG трансмиссия с приводом на передние колеса. Компания не сообщала данные о расходе топлива, однако, сообщила, что автомобиль будет иметь высокую экономичность и низкий выброс C02. Внешний тюнинг включает в себя новую радиаторную решетку, новый передний бампер, боковые юбки, новый задний бампер, заднее крыло и четырехтрубный глушитель. На выбор доступны диски и шины в размере 18 или 19 дюймов. Подвеска может быть занижена на 30 мм для улучшения управляемости и производительности. Элитная недвижимость в черногории – отличный вариант вложения ваших денег в наспокойное время. Комфортабельные виллы, дома, коттеджи по "вкусным" ценам. 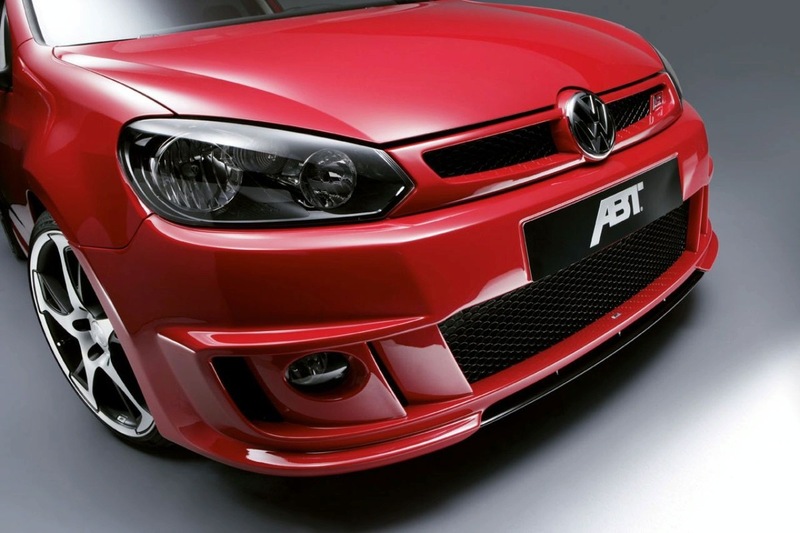 Из-за этих доработок ABT – крупнейший тюнер автомобилей Volkswagen/ Audi – изменил расшифровку абревиатуры GTD с официального “Gran Touring Diesel” на "Gewinner Tanken Diesel", или "Winners tank diesel", или еще проще – “Дизельный танк победитель”. Some affectionately call it the "racing tractor", as it combines sporty dynamism with enormous torque of 390 Nm. Rudolf Diesel would have had fun with the 190 HP (140 kW) strong "off-spring" of his invention. He would certainly never have thought it possible that the diesel engine could reach 100 km/h in a 7.1 second sprint. A top speed of 230 km/h and plenty of steam in all seven gears – that is how ABT Sportsline defines the 2.0 TDI in the new Golf GTD. This is because after its treatment in the Allgaeu the abbreviation now stands for "Gewinner Tanken Diesel – Winners tank diesel". The Golf still retains, of course, its economical qualities, as the fuel consumption remains at the low level of the series diesel version. 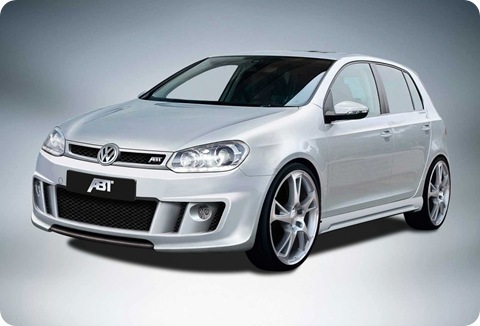 It goes without saying that the world’s largest tuner of vehicles from the Volkswagen group also offers the popular bodykit which is tailor-made for the Golf VI on the compact diesel. The extra portion of sportiness impresses immediately: the front spoiler, front grille, side sills, rear spoiler, rear apron set and the typical ABT 4-pipe rear muffler suit the powerful appearance of the ABT Golf VI GTD. As an addition to the aerodynamic elements, ABT also recommends the sporty AR and BR wheels in 18 and 19 inch, which are available in combination with high-performance tyres. 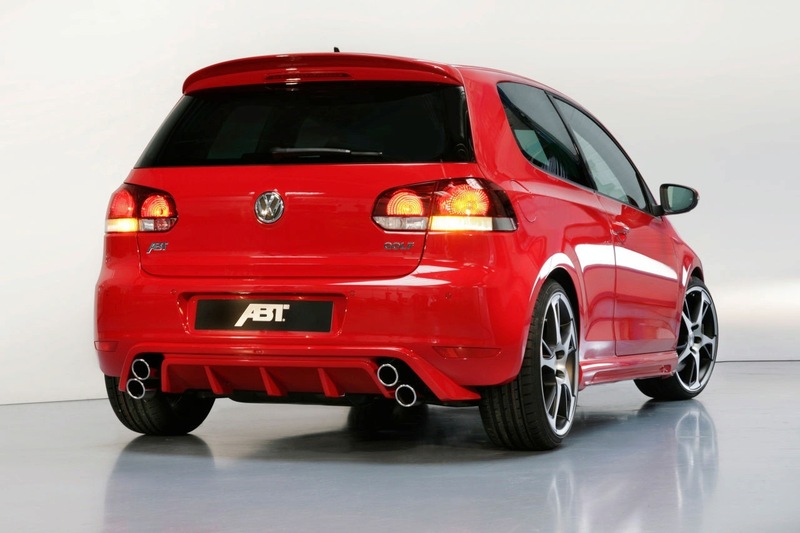 In order to ensure that the ABT Golf GTD guarantees maximum driving enjoyment in traffic as well as optimum safety even in threshold areas, the Allgaeu company has the ABT suspension springs on offer. 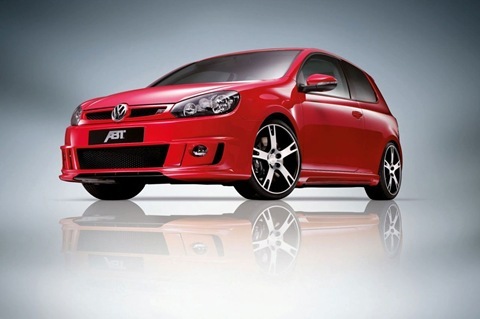 They lower the centre of gravity of the Golf, so that the car lies even better on the street and even seems more powerful when stationary. Save money with fun and plenty of benefits: the ABT Golf VI GTD is a versatile vehicle which knows how to impress in everyday life with superior reserves of power and low consumption. The fast car is therefore a "GreaT Diesel"